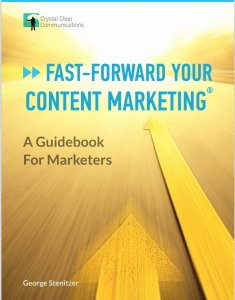 Learn 7 ways to fast-forward your content marketing with a free E-book. Take 7 strategic steps to put your content in the fast lane! In dozens of workshops over the past year, marketers have asked me hundreds of questions about content marketing. In the process, they’ve taught me a lot about the current state of content marketing. Here’s an analysis of what marketers most want to learn about content marketing. To answer the big questions on content, I wrote an E-book. Fast-Forward Your Content Marketing,® A Guidebook For Marketers, reveals 7 steps you can take to become even more strategic and successful at content marketing. Streamline the content marketing process. Put practical tips and templates to work. Cut busywork to save time. 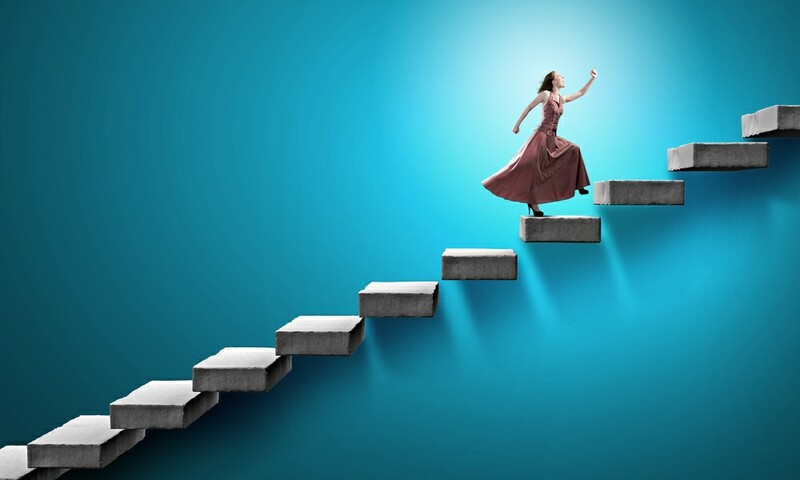 Take 7 steps to make your content marketing even more strategic and successful. The E-book draws wisdom from marketing thought-leaders such as Marcus Sheridan, Andy Crestodina, Joe Pulizzi, Ann Handley, Tim Riesterer, Dr. Carmen Simon, Anne Janzer, and Adelle Revella. It builds on my experience as a journalist, marketer, communicator and workshop teacher. For a limited time, you can get a copy of Fast-Forward Your Content Marketing free. 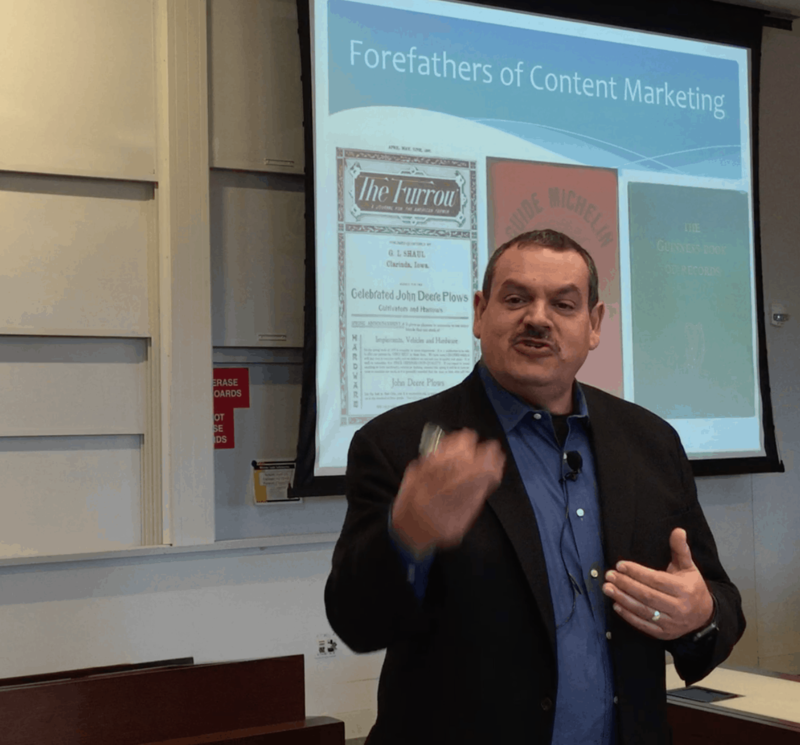 I lead content marketing workshops across the US for the Association of National Advertisers. For a limited time, download your copy of this E-book free.